With a flux of singer songwriters in the UK finally starting to get the acclaimed recognition they deserve another strong contender looks set to hold the necessary skills to join the likes of Ben Howard and Benjamin Francis Leftwich on the high road to much earned praise and appreciation. 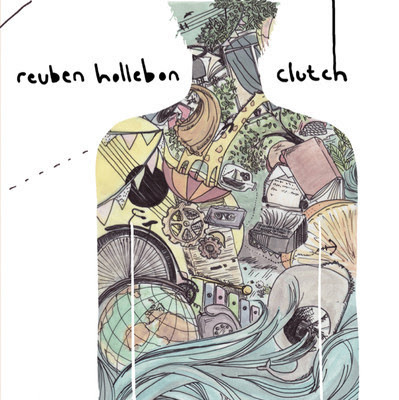 Norfolk based Reuben Hollebon is due to release his EP Clutch on December 10th. With a bright display of musical craftsmanship, from his crisp vocal ability to ethereal percussion sounding as earthly as the ground we walk on Reuben delivers a heavenly slice of celestial music. With each track on the EP devouring your heart with its own unique individuality from hearty lyrics to dainty plucked guitars Clutch really shapes up to be an excellent defining debut. Listen to the opening track above and stream the rest of the EP here. Catch Reuben Hollebon live Wednesday 12 December 2012 @ The Cornershop, London.